16 in. Green Onyx Contempora..
16 in. Contemporary Round Ve..
16 in. Contemporary Round It..
14 in. Round Michael Angelo ..
14 in. 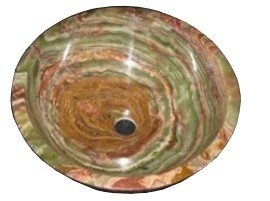 Round Fossil Marble B..
16 in. Contemporary Round Te..
16 in. Contemporary Round De..
16 inch Sink Sahara Gold Mar..
16 in. Multi Green Onyx Cont..
14 in. Honey Gold Onyx Conte..
14 in. White Onyx Contempora..
16 in. 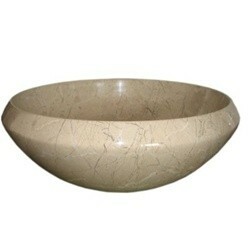 White Onyx Contempora..
14 in. 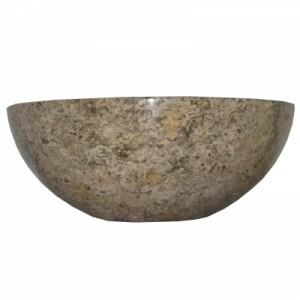 Green Onyx Contempora..
14 in. 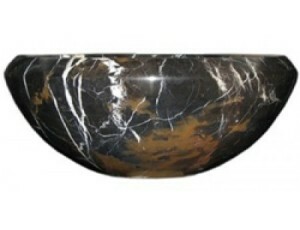 Multi Color Onyx Cont..
16 in. 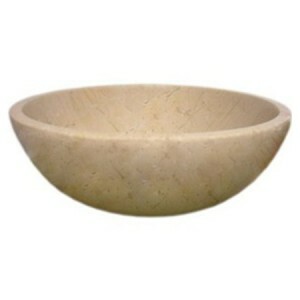 Round Sahara Gold Mar..
16 inch Sink Crema Verona Ma..
At Marble n things we have a huge collection of stone sinks for bathroom, powder room, barroom or cloakroom. 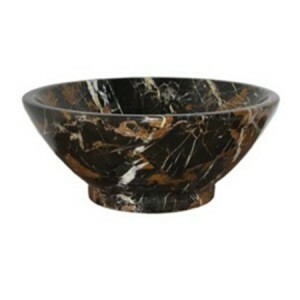 These sinks are available in a variety of marble stones - beige marble, cream marble, black with gold marble, honey onyx, green onyx, white onyx, multi green onyx, multi brown onyx and fossil marble. These marble and onyx stone have such exotic colors and marblings which makes these pieces the heart of the space wherever they are placed at. Marble n things is yet again at the forefront of innovation bringing out this latest concept of mosaics inlay in stone vessels at unprecedented prices. Amazingly beautiful 16 in. 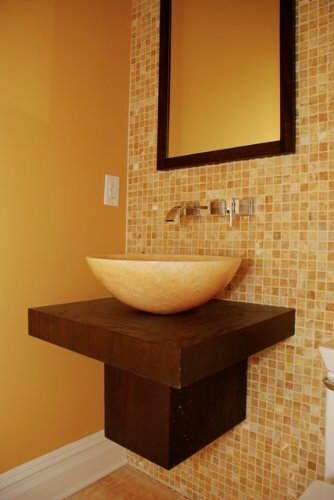 Verona sink with Inca Gold Marble / Red Onyx Bathroom Mosaic Sink brings that contemporary look your bathroom is waiting for. The sheer look of the sink tells a story of tireless hours spent on hand-carving each sink with such delicacy. 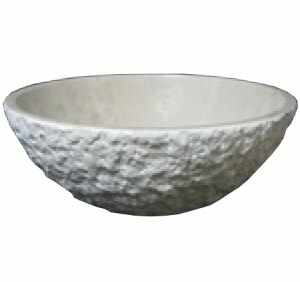 Marble 'n things presents the most exotic and beautifully crafted stone series Marble 'n things Signature Opulence These vessel style natural stone sinks are designed by innovative designers and hand crafted by our experienced artisan. They are a true prize of nature with aesthetically pleasing look decorative yet functional The vessel style lavatory can be easily installed above the countertop under mount or wall mount using a bracket Ideal for your bathroom powder room vanity or bar room Owing to the hardness of this marble it hardly scratches just like granite steel Ceramic or tempered glass which is why the product requires very low or no maintenance since these vessels are manufactured to be used with standard US plumbing fixtures therefore the accessories like drain faucet mounting ring etc can be readily found at your local hardware stores please look at our other items for matching bath ensembles for toiletries Marble is a product of nature every sink is beautiful with its own pattern of marbling.